This guide introduces resources that describe, utilize, and support the current research landscape. Considerations of the roles of author, content, sources, impact, reputation, rankings, and benchmarking are increasingly important in analyzing contributions to the research life cycle. Tools are promoted that can be used to engage in research metrics. An overview of 28+ resources that use research metrics is found in The Metrics Toolkit. Since the landscape is constantly changing, Emerging Metrics are also explored. For basic information on the Science Information Lifecycle visit this tutorial. In addition, the Subject Guide for Social Media applications to support research is now completed. This will help you share your research findings via different social media tools. Research impact is a measure of the significance and importance of academic work within a scholarly community. Bibliometrics are the use of quantitative tools to study publications and other written material. Citation analysis can be used as a quantifiable measure of academic output and research impact, which can help inform decisions on publication, promotion, and tenure. Altmetrics is increasingly becoming an alternative and important method of measuring the impact of scholarly and other output and allows for social media tracking by various indicators such as number of tweets, blog posts, likes, bookmarks, etc. and are more timely wider-ranging measures of how people—both other researchers and the general public have demonstrated interested in an individual's work and contributions. This guide is designed to help faculty members, graduate students and librarians use and understand the citation analysis tools available to us. At UCI, there is access to some of the major resources used for citation metrics, for example to obtain an Impact Factor (IF) you could consult the following tools -- Web of Science, Journal Citation Reports and Google Scholar. Descriptions of and guides to these tools can be accessed using the above drop-down menu, organized according to need. An author's published output ranking in a field or discipline. 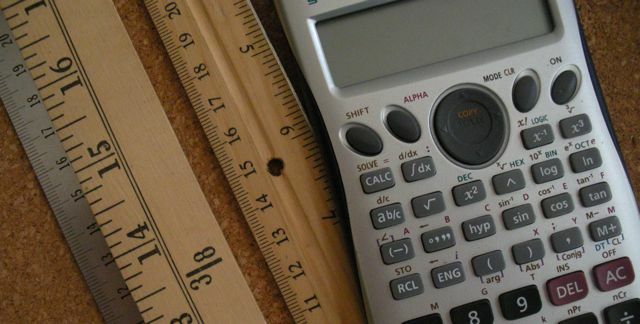 The Metrics Toolkit is a new free guide to research impact metrics has been developed by a team of librarians and product developers and includes explanations for 28 innovative and commonly used research metrics, with new content in active development. UCI affiliates may not have access to all products noted, but many of them are available as open or free resources. Because of the limitations of each method, it is important to use multiple methods, sources, and tools to get a fuller and more complete analysis. Increasingly, the research community is studying how to assess the value of cooperation and collaboration among colleagues, scholars and scientists, with barriers being reduced and geography more global. New metrics and values will likely emerge through different sources, to complement and extend already existing methods and products. Errors on citing papers can lead to separate entries and missed counts. Author and institutional naming inconsistencies can lead to separate entries and missed counts. Different databases use different sources to generate data and some are more comprehensive than others. Tools are skewed towards the STEM (science, technology, engineering and medicine) communities of scholars. Citations do not measure the number of readings of a work. Citations are not the only indicators of the importance of a work. The San Francisco Declaration on Research Assessment (DORA) has generated a lot of discussion since it was launched by the American Society for Cell Biology in December 2012. This Guide was initially prepared by Laine Thielstrom (thielstrom@gmail.com) during her Library School internship at the San Jose State University Graduate School of Library & Information Science, and was conducted at the University of California, Irvine Libraries in Fall 2012. Additional revision to the guide is an ongoing effort at keeping it current. Any errors are those of the current editor. Please share information to keep accurate.